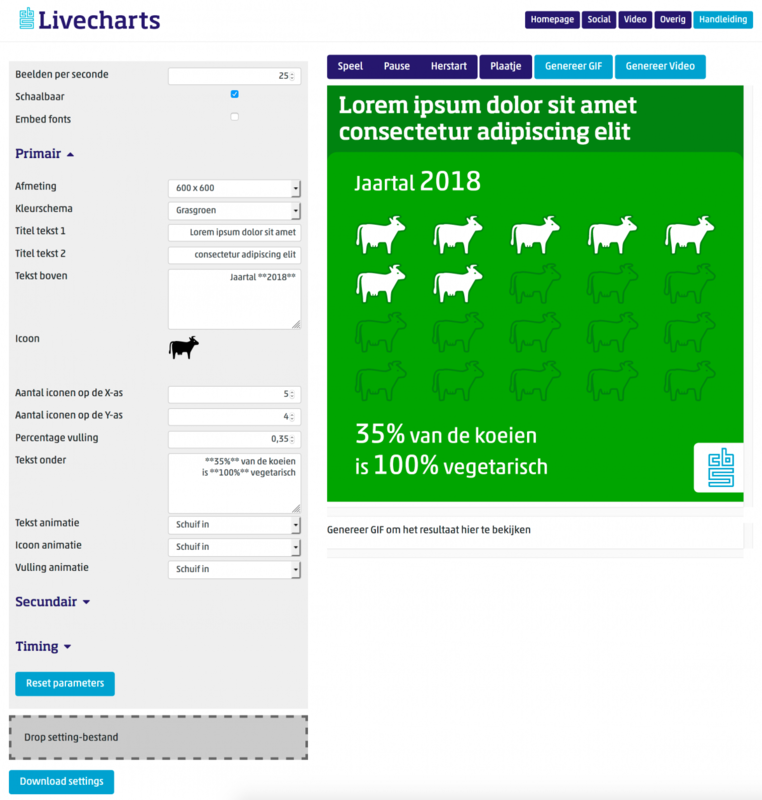 Livecharts is a product by and for CBS, it allows editors who would normally not have access to tools or skills to create infographics to actually create them themselves. 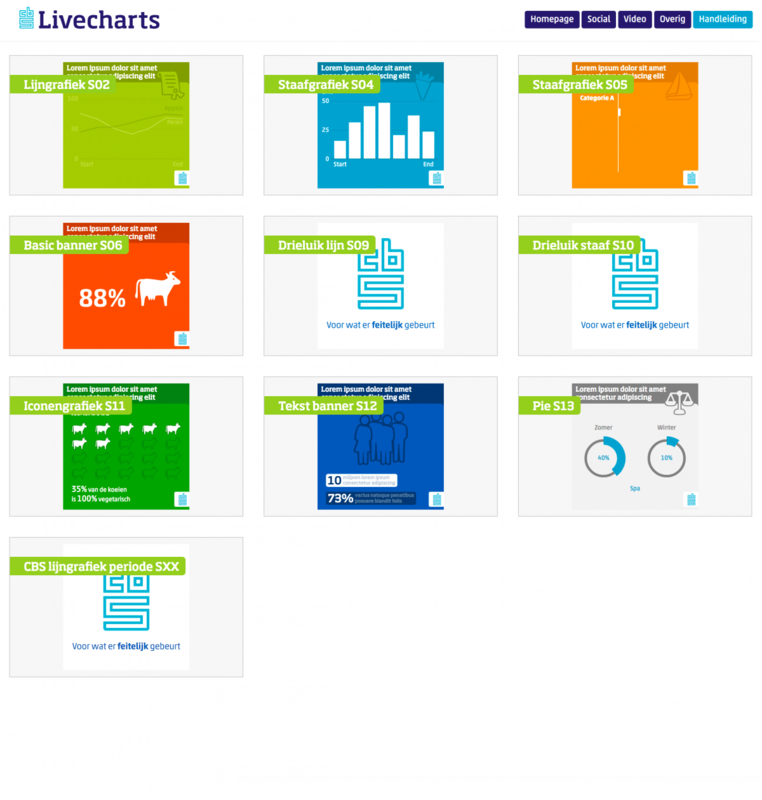 A web app filled with (animated) designs from which an editor can choose an appropriate viz tool is provided. The end result can then be shown to the public via twitter, facebook, instagram or the CBS website.